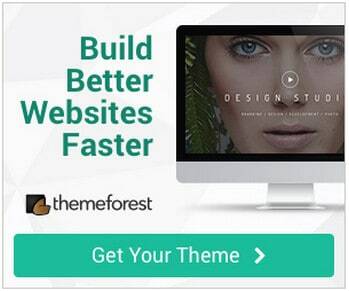 Navigation is key to any web site or blog. Good and user friendly navigation making it easy for your visitors to get around fast is simply one of the most elemental elements of web design and development. This is a very flexible and good looking menu. Can be transformed by changing CSS class name only. Available transformations: horizontal, vertical left-to-right, vertical right-to-left, horizontal linear, horizontal upwards. Easily deployable. The code and files are well organized. Available channels to hook up to your CMS or other tools as well as existing websites in XHTML format. Easily transformable. Can be transformed by changing class name only. Available transformations: horizontal, vertical left-to-right, vertical right-to-left, horizontal linear, horizontal upwards. 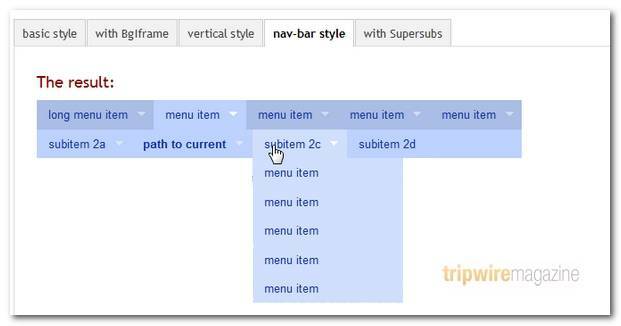 Drop Down Tabs is a horizontal CSS tabs menu that supports a second level drop down menu for each of its tabs. Smooth Navigation Menu is a multi level, CSS list based menu powered using jQuery that makes website navigation a smooth affair. And that’s a good thing given the important role of this element in any site. 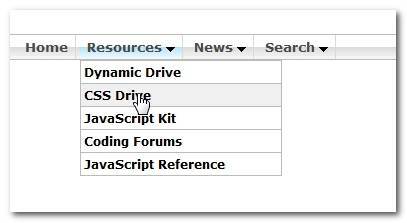 The menu’s contents can either be from direct markup on the page, or an external file and fetched via Ajax instead. And thanks to jQuery, a configurable, sleek “slide plus fade in” transition is applied during the unveiling of the sub menus. 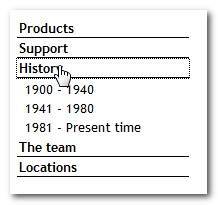 A multi level drop down menu. Good looking menu but it is unclear if it is still maintained. Tested in IE5.5, IE6, IE7, Firefox, Opera, Netscape, Mozilla, Safari (PC) and Safari (iPod Touch). Testing in recent browser versions is recommended before using it. A donation for use of this menu is required. Visit stunicholls.com where you find more than 30 great menu scripts. 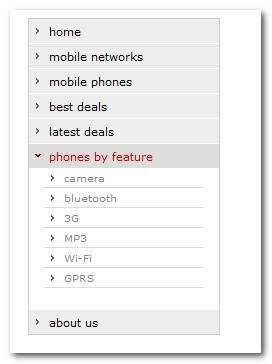 Simple drop down menu that has a vertical sliding action. Hover over a top level link to slide down the submenu, and it does slide down, not just appear using a vertical shutter action, and then hover over the same top level to close or another top level to open that one and close the previous one. You can run your mouse over the top level items to open and close them and they will all work simultaneously. Tested in IE6, IE7, Firefox, Opera and Safari (PC). This is a menu based on an unordered list (<UL><LI>). 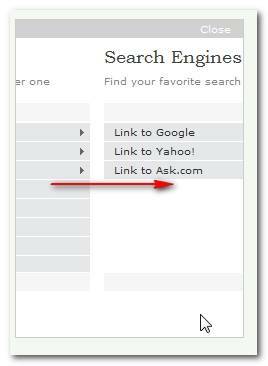 It makes the menu easy to use and friendly to search engines. 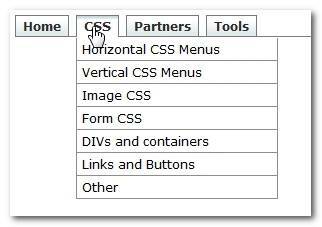 CSS Express menus should only be used in a horizontal orientation with a single drop-down level. The first part of this tutorial is dedicated to the task of building a working CSS-only dropdown menu (also known as suckerfish menu), the second part will show you how you can pimp the whole thing with a few lines of jQuery. 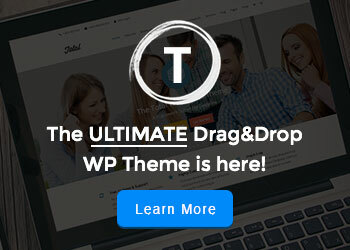 This Dropline menu uses hover instead of click to open (and keep) open a sub menu. With the top level and the dropline centered within the containing div. 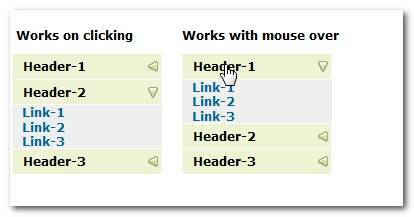 Using hovers instead of click will allow the top levels to have links. The ability to have a selected top level open on page entry is included, which is demonstrated in this menu where ‘Sales’ is selected on page entry (demo). Tested in IE6, IE7, Firefox, Opera and Safari (PC). Visit stunicholls.com where you find more than 30 great menu scripts. 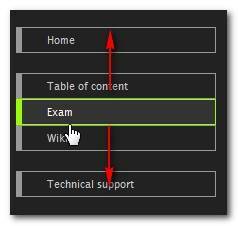 A dropline menu with the ability to set the ‘current’ page and have the menu open with this highlighted. 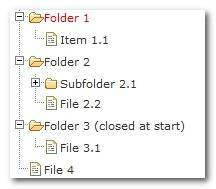 If you hover over any of the other menu options then the current trail is removed and the new trail displayed. Once you move the mouse ff the menu then the current seletion will re-appear. 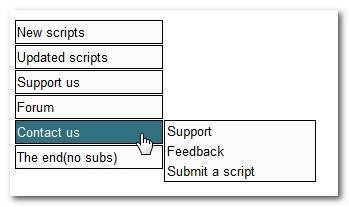 This script makes minimal use of jQuery to control the display of the droplines and is styled using CSS. All browsers except IE6 have an opaque background to the droplines. Tested in IE6, IE7, Firefox, Opera, Safari (PC) and Google Chrome. A donation for use of this menu is required. 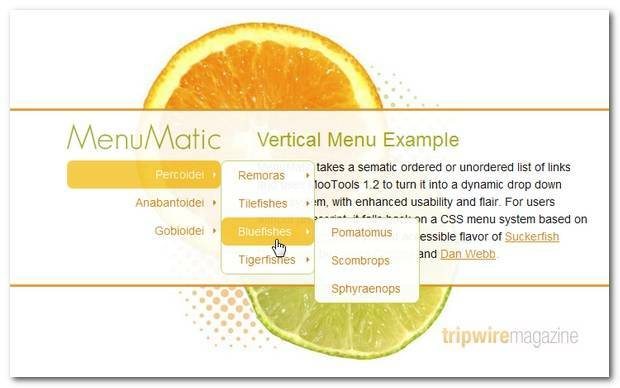 Dropline Menu with dropsown. 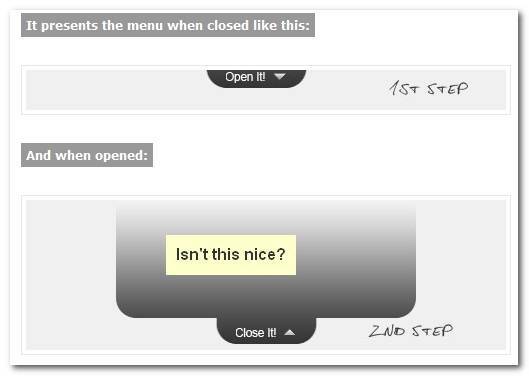 It will automatically be close after 2 seconds if the mouse moves off any of the menu items. This ‘feature’ can be modified to collapse back to keep the dropline. Tested in IE6, IE7, Firefox, Opera, Safari (PC) and Google Chrome. 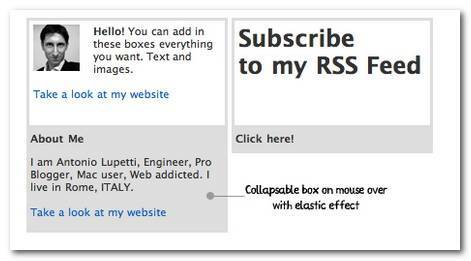 A jQuery nested menus, based on dynamic “AJAX” responses. The menu can also be dragged/dropped. Expanding simple vertical slide menu. This one allows you to have fixed, non-expanding top level links and the ability to click to open and click to close a top level sub list. Tested in IE6, IE7, Firefox, Opera, Safari (PC) and Google Chrome. 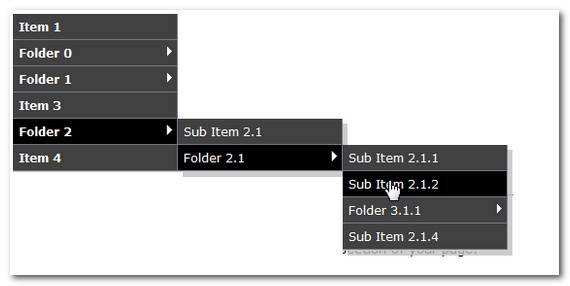 In this post I’ll show you how can you create fancy accordion menu using jQuery. In this post, you’ll see two examples of accordion. First menu’s visibility get’s toggled on clicking on the header while the another menu’s visibility get’s toogled when mouse is moved over it. A slide menu based on an unordered list (<UL><LI>). It supports unlimited depth of items. Just a simple four level vertical sliding menu tree. Clicking any of the ‘orange’ list items will expand that sub level and contract any other open level. Re-clicking the same list item will close that level and any sub levels that are open. What i like about this menu, is its ability to style icons based on file extension and using AJAX to fetch file information on the fly. More over you can customize expand/collapse event and speeds. Lightweight and flexible transformation of an unordered list into an expandable and collapsable tree, great for unobtrusive navigation enhancements. 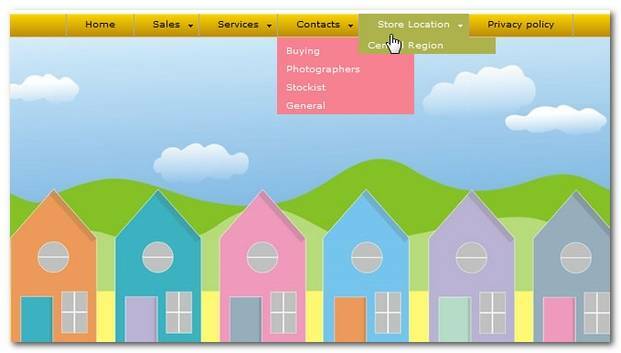 This is a sliding top menu built with jQuery which can be fired through the open & close buttons or with any tag with the related class name. You can also use it as an info box, login area & more. 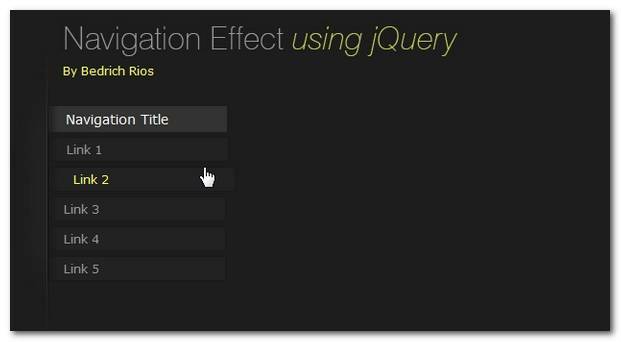 Click here to see the final working demo of this jQuery sliding menu. Almost the same top navigation implemented on Vimeo.com is created by Janko. Best thing about it, is the menu that drops down when you hover search box. 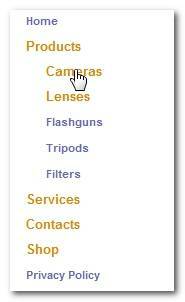 It offers you different search options that you can choose and narrow your search. This is really a tutorial showing how to use Mootools to create menus. The result of one of the menus is interesting and gives you a collapsable box with an animated effect on mouse over. 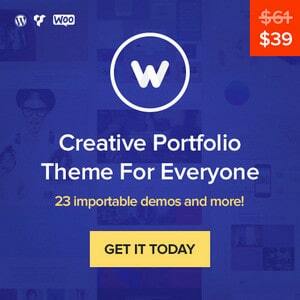 Besides this being a great “Navigation” script I would like to mention that Woork is a great blog that I follow myself. You will find many good posts here explaining coding stuff in a very relaxed and easy to understand way. The Fancy Sliding Tab Menu runs on Mootools with an idle state listener to bring all the tabs back to their normal state after a desired amount of time without mouse movement on the window. Incredible online 199-01 training programs help you in pass 642-072 exam. We offer best quality 646-364 dumps for your success. excellent list for newbies like me thanks. I would also suggest dhtmlxTree (http://dhtmlx.com/docs/products/dhtmlxTree/) for tree style navigation. The component has good and stable functionality and clear desing. It’s GPL licensed, though. Thanks for the list and also thanks Niek, for menujs.net. Thanks for sharing that great list of navigations. Good work! The examples on the website are not the best looking ones, but check out the live-website examples for what it can really do. You could have stopped after the first. All the others are basically useless unless you’re looking for a pure css implementation.